Large eyes, a short pronotum, a lightly sclerotized yellowish-brown body, and a long, thin mid-tibial spur also ID this family. 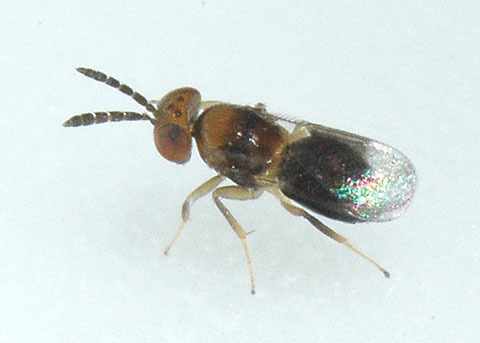 The clubbed antennae indicate that this is a female. Patterned fore wings are more typical of the related family Encyrtidae, but venation of this one leaves no doubt.